When you can't break out the bubbly, break out the candy instead! Measuring 1 1/2" x 4", this clear champagne bottle features a silver lid and is filled with 1.4 oz. of delicious chocolate buttons candy! 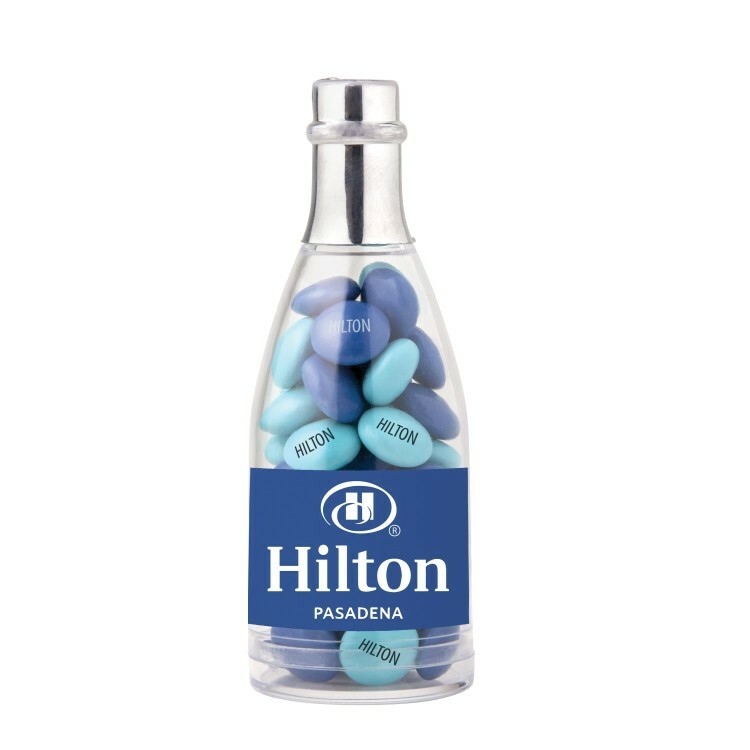 A great choice for corporate giveaways, party and wedding favors and a variety of other promotional events, each bottle can showcase a full-color imprint of your event title, company name or logo on a custom label. Raise a glass and toast to this tasty promoter! 1 1/2" Round x 4"